Still getting crud like this out of it, been flushing blowing and vacuming. Wondering if i can clean and flush thank with water or is that a bad idea ?? I flush my tanks with water after soaking with vinegar. hold the moped upside down with the hose stuck in the gas tank cap or have some spray the hose into the cap. Make sure to let us soak for a good week. All the heavy stuff comes out at the end so Ull have to flush it multiple times. If your trying to flush thrue the petcock hole it’s just frustrating, to small and takes for everEdited 1 time(s). Last edit at 02/04/19 10:30PM by countryboy1. You'll probably never get it all out . 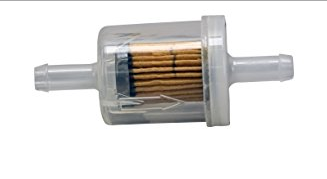 Exactly why it's recommended to run an in line fuel filter good to at least 60 micron . I use oxalic acid for rust . It does a very good job . If you want to rid yourself of rust in the tank , you should always keep the tank completely filled or line it with a good epoxy resin . https://www.caswellplating.com/epoxy-gas-tank-sealer/caswell-epoxy-gas-tank-sealer-mini-kit-up-to-5-gal.htmlEdited 2 time(s). Last edit at 02/05/19 09:50AM by pdcomm. get a real petcock, it has a filter on it that picks up higher than the bottom of the tank. Do this like a hundred times letting it empty completely.